Home » Workout » How Many Calories do Crunches Burn to Get the Best Body Shape? How many calories do crunches burn if we want to get the best shape of stomach? That question might come up in your mind before you start doing the exercise. There are some forms of exercise you can start doing to get the certain body shape you’re longing for. Some people will only do workout they think can shape up their body. If you are planning to lose lots of calories in your body, lose some weight or shape up the certain part of your body, there are some workout activities you can do instead of doing some diet. Some of those workout activities is burpee or jumping jack, crunch. What is crunch? This workout might sound unfamiliar for some people but for people who workouts a lot or consider workout as part of their daily life probably know well what this exercise is. Crunch is one of the most common exercises in shaping our abdominal part. Many people choose this exercise to strengthen their stomach muscles – specifically the rectus abdominis muscle and the obliques or get the “six-pack” stomach. Don’t get it wrong. Crunch is different from sit-up. Although these two exercises are both related to abdomen, they are not the same. Sit-up is done focuses on strengthening not only hip flexors and abdominal muscles but also chest, neck, lower-back and lower-leg muscles. As for crunch, on the other hand, only focuses on the abdominal muscles. In other words, the target of these two exercises is different group muscles. To answer the question of how many calories crunches burn actually we can’t tell the exact number. The calories burned after we do some crunches depend on several factors. The caloric burn depends on the body size, time of crunching and the intensity of it. The important factor is how intense you crunch. The intensity of your crunching also influences how many calories burn from your body. A person who does the crunching at a moderate intensity burns less calories than the one who does the crunching at a powerful pace. A vigorous or powerful pace of crunch is usually done at a higher speed so that you can get more repetitions in a set period of time. Those three factors have great impact on the amount of caloric burn resulting from doing crunches. 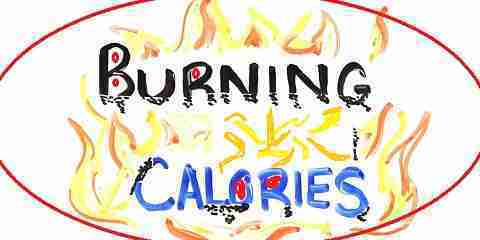 Each person has different ability to burn calories. Commonly, the bigger the person is the more calories they burn. Many of you don’t usually do crunches for quite long periods of time. The longer time you crunch, more calories burn. For example if a 5-foot 8 woman weighs 170 pounds do 3 minutes of crunching, she burns 17 calories. So if she continues crunching to the next two minutes 29 calories is burned. So, if you want to focus on having a good abdominal shape, doing this abdominal exercise is highly recommended. Though this exercise seems to burn fewer calories than sit-up, it shapes up your abdomen perfectly. This can answer the question of how many calories do I burn when doing crunches.